Explore our rich collection of Induction Seals, which finds application in a wide range of industries throughout the world. Manufactured from premium standard material, our induction seals are extremely useful to keep various products in safe and fresh condition for a long time. We are one of the eminent manufacturers, wholesale suppliers and exporters of an unparalleled range of induction seals and induction liners. These induction seals can be availed at cost effective prices. Color Silver, Golden, Green, White etc. 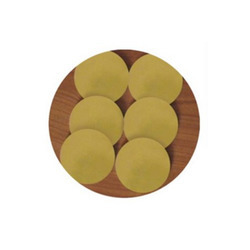 Sunseal Agro Induction Sealing Wads offered can be made available by us in different finish configurations and provide best sealing support for different packed agro products. Sunset Sigma Induction Sealing Wads offered can be made available by us in different finish options including size choices and surface printing support to pick from. The use of latest technology support in producing the induction based sealing wads allow us to make them available in two and single piece finish. We offer high quality Induction Seals to our valuable customers. 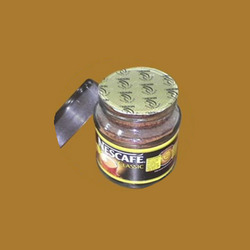 This product is manufactured from premium quality raw materials that are procured from trustworthy vendors. This product is fully tested before the final dispatch and we offer this at industry leading price.This product is widely used in the lubricant, oil (edible), petroleum, cosmetic, chemical and herbal industries. 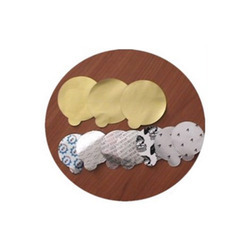 It is highly appreciated for its effective sealing, corrosion resistance, and high efficiency. Induction Seals inner sealing machine is designed to seal any plastic bottle surface. These are compatible for polyethylene, polyester, PVC, polystyrene and can be used with either dry or liquid content. They are especially used for hard to open containers. Suitable applications are juice, ketchup, dairy products and pharmaceutical products.These tools are appreciated for their durability and cost effectiveness. We offer a wide assortment of Bottle Induction Seals at industry leading price. 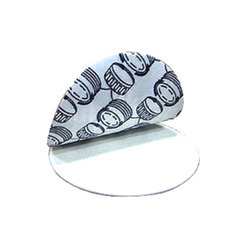 This induction seal is made of the superior quality material that is procured from reliable vendors. 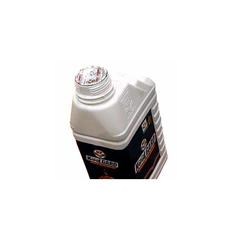 It is designed and developed for brake fluid and pharmaceutical products. Our induction seals are widely appreciated for its durability, compact design, and work accuracy. In the manufacture, we incorporate the latest technology and advanced machinery. Sunset Sigma is cost effective and can be adjusted very easily. Glass Bottle Seal offered can be made available by us in different finish variations as well as with suitable printing support so as to perfectly match up with the specific demands of the customers. Coming specially designed for sealing of glass bottles, these provide for superior bonding quality and offer right seal finish. Some of its features include special laminate finish with the suitable sealing layer so as to offer optimum bonding characteristics with glass; provides for no leakage sealing support; offer superior safety from content tampering possibilities. 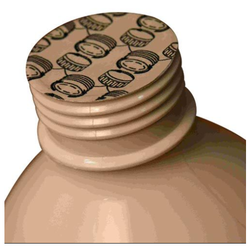 Delta-Seal is specially designed seals for Glass bottles. Glass bottles being having poor bonding quality getting the right seal is very important. Now there will be no leakages if Delta- Seals are used. 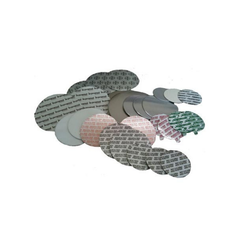 Holo Safe Induction Sealing Wads are designed keeping product security in mind. These are the security seals which will make sure of no -pilferage.The holograms are 3 dimensional security seals printed with specific security logo so that duplication of the product is almost impossible.The hologram printed foil can be bonded to duplex pulp board or EPE as per the requirement. Pull N Peel offered can be made available by us in different finish configurations and are perfect solutions for hard to open containers. These provide suitable sealing support for any plastic bottle surface; polyethylene, most poly, PVC, polystyrene. 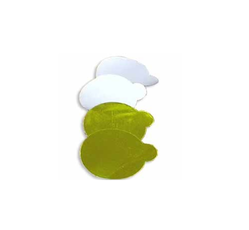 Other than this, these seals are also suitable for use with either dry or liquid content. Some of the seals are really difficult to break. Sometimes it happens that you may brake your nail but not the seal. You might have spoiled your cloths in some occasions while opening the bottles. "Pull n Peel" is the most suitable option for such applications. In pull n peel seal induction liners a pull tab is attached for easy removal of the seal. The sealing laminate is selected in such a way that it peels off very easily. The suitable applications are Juice, ketchup, dairy products and foodstuff applications. We offer best quality of Pet Bottles Induction Seals to our valuable customers. Induction seals series induction liners are designed and developed keeping product security in mind. These are security seals applicable in production industries. These three-dimensional security seals are printed with specific security logos, so that duplication of the product is almost impossible. Looking for Induction Seals ?